READY NOW! YOU'LL LOVE CALLING COPPERLEAF HOME! WHERE RESIDENTS ENJOY PARKS AND RECREATION, BEAUTIFUL SCENERY, PROXIMITY TO SHOPPING AND DINING, AND A 4 ACRE COMMUNITY SPACE WHICH INCLUDES THE AWESOME ARBORETUM POOL AND CLUBHOUSE! 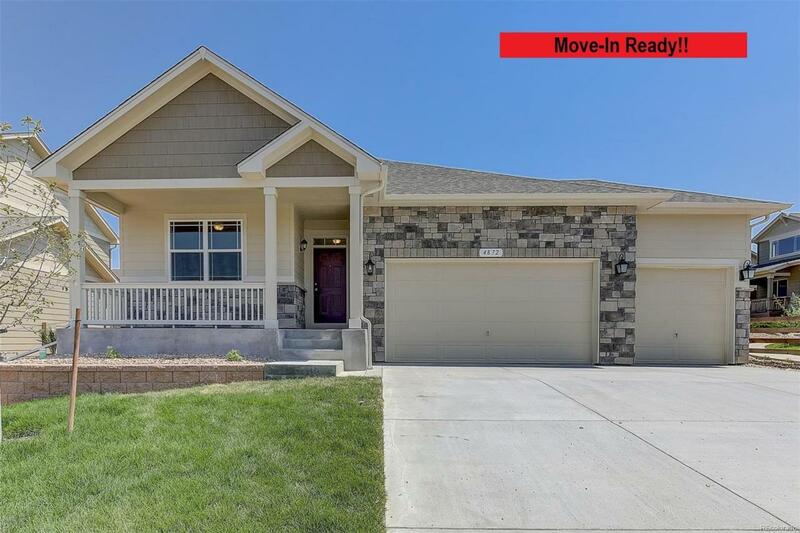 NEW HOME WITH BUILDER 2-10 LIMITED WARRANTY! ENJOY COMING HOME TO THIS QUAINT 4 BEDROOM RANCH WITH GORGEOUS FINISHES AND 1,054 SF UNFINISHED BASEMENT! YOUR BEAUTIFUL KITCHEN INCLUDES STUNNING EXTENDED HARDWOOD FLOORING, A STAINLESS STEEL APPLIANCE PACKAGE, SLAB GRANITE COUNTERTOPS, MAPLE PECAN CABINETS AND IS OPEN TO A CHARMING GREAT ROOM WITH COZY CORNER FIREPLACE, PERFECT FOR RELAXING! 12X12 TILE FLOORS AND PIEDRAFINA COUNTERTOPS AT MASTER BATH. FULL FRONT AND REAR YARD LANDSCAPING WITH IRRIGATION SYSTEMS AND FULL YARD FENCING ARE ALL INCLUDED. DON'T MISS OUT ON THIS INCREDIBLE RANCH HOME.